CHARLESTON, SC—(November 13, 2017) According to preliminary data released today by the Charleston Trident Association of Realtors® (CTAR) 1,316 homes sold in October in the region at a median price of $250,080, reflective of a 2% boost in sales and 4% growth in median sales price as compared to last October, when 1,287 homes sold at a median price of $240,000. The year-to-date pace of growth in sales and median price tightened slightly again but still show healthy levels of increases over last year. 15,465 homes have sold in the region at a median price of $250,000 thus far in 2017. Sales volume has increased about 3% compared to 2016, with homes selling for about 4% more than they did at this point last year. “As we reported last month, the pace of sales has slowed, but our market is still healthy and active—well-priced homes are moving off-market and there’s still considerable interest in our region. We have yet to realize the real estate impacts of huge economic investments like the Volvo plant” said 2017 CTAR President Dave Sansom. “Inventory has been a challenge in Charleston for awhile, and after years of significant price growth we’re seeing affordability issues really take hold. It is making it more difficult for some people to find a home that they can afford and that serves their needs” said Sansom. “We believe that sales would be even stronger if there were more inventory available in key price ranges and locations where there is little to nothing available currently. We’re continuing our work with local municipalities and legislators to help them understand the importance of smart growth and development that will best serve our local communities and residents alike” he concluded. 5,320 homes were listed as “active” for sale in the Charleston Trident Multiple Listing Service (CTMLS) at the end of the month, slightly higher than last month but about 11% fewer homes available than in 2016. Preliminary data showed 1,422 homes sold in September in the region at a median price of $256,335. Adjusted numbers now show 1,424 sales at a median price $256,000. 365 properties sold at a median price of $225,000 in Berkeley County in October. Year-to-date, single-family home sales have increased about 5% in the County, with buyers paying about 4.5% more than they did a year ago. Condo and townhome sales have increased 27% with a 12% increase in price. There are currently 1,080 residential properties for sale in Berkeley County—935 single-family homes and 145 condos/townhomes. 622 properties sold at a median price of $316,119 in Charleston County in October. Year-to-date, single-family home sales volume is flat in the County, with buyers paying about 6% more than they did a year ago. Condo and townhome sales and prices have both increased by about 5%. There are currently 2,839 residential properties for sale in Charleston County—2,201 single-family homes and 638 condos/townhomes. 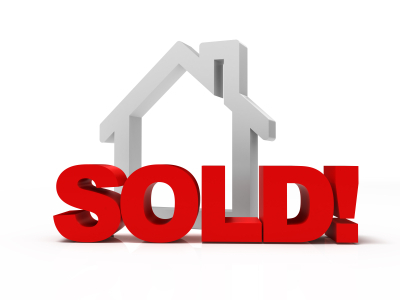 274 properties sold at a median price of $218,000 in Dorchester County in October. Year-to-date, single-family home sales have increased less than 0.5% in the County, with buyers paying about 6% more than they did a year ago. Condo and townhome sales have increased 4% with a 3% increase in price. There are currently 786 residential properties for sale in Dorchester County—729 single-family homes and 57 condos/townhomes. Zoom in to your metropolitan statistical area to get the latest quarterly median home price for your market, and its percentage change from the previous quarter. Now includes median commute times for each metro area!